Windows 8 Reviews: Is Microsoft's Tablet Strategy On Track? Microsoft has taken the wraps off of Windows 8 to offer a peek at the operating system many say is one finally optimized for tablets and Microsoft's boldest reinvention in years. An OS made for touch use, Windows 8 resembles the Windows Phone 7's software, using tiles that let users swipe through rather than click to navigate. It has been called the most dramatic redesign of Microsoft's Windows operating system in years, with Microsoft pitching at the "first attempt to rethink the basic operating system's layout since Windows 95," according to VentureBeat. Initial response to Windows 8 focuses on the idea that Microsoft has at last delivered an operating system made for the tablet. Microsoft has long struggled to produce a competitor to the dominant device in the field, the iPad, or for that matter, to produce a competitive tablet of any sort. Here's what people are saying about Windows 8, demoed at the D9 conference, so far. 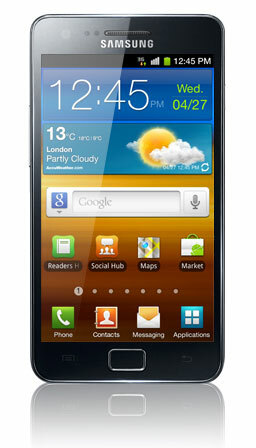 "The most noticeable difference is a new layout that was clearly inspired by Windows Phone 7," wrote VentureBeat. People agree that whatever it is, it's definitely new. All Things D's Walt Mossberg said that Windows users may be "shocked" by the "pretty radical" changes. Technologizer's Harry McCracken dubbed Windows 8's "look and feel" to be "New. New, new, new, new, new!" Crunchgear notes that "while they're retaining support for all the major applications and enterprise features, the new interface is meant to be fresh, fast, and accessible." But, they caution, Microsoft must be careful that its "full-on Windows environment will be neither too stripped-down for power users, nor too clunky for people expecting a simple tablet interface." McCracken suggests that it may not be possible to fully anticipate the hardware that will run Microsoft's Windows 8 software. "This is going to run best on PCs which don't exist yet, for the most part," he writes. "Something like an HP TouchSmart will be well-suited to it. Possibly a convertible notebook along the lines of a Tablet PC, too. But I can't quite see how it'll make sense on a garden-variety notebook or desktop. Or, for that matter, on a garden-variety tablet-at least if you intend to run old-style apps as well as touch-centric ones. It wants a new type of computer." 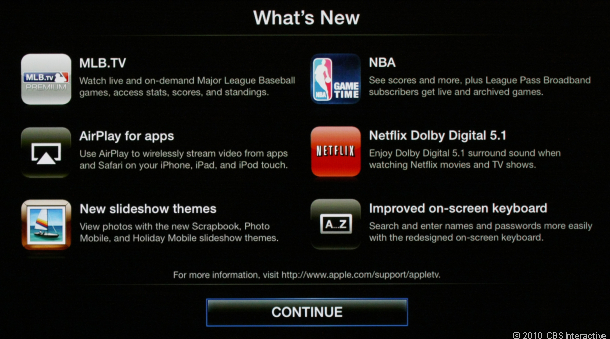 There may be restrictions in how the operating system is brought to market. According to Bloomberg Microsoft has imposed some limits on how the operating system can be used, reportedly asking "chipmakers that want to use the next version of Windows for tablets to work with no more than one computer manufacturer." But while such restrictions could help Microsoft quicken its delivery of new Windows tablets, Bloomberg observes that "the restrictions may impede chip- and computer makers from building a variety of Windows-based models." Ars Technica warns that such restrictions could become problematic. "If Microsoft sets the specification too low--either as a deliberate ploy to protect full-featured laptops, or as a failure to keep up with technological advances--then Windows tablets will be undesirable and uncompetitive out of the gate," they wrote. Some critics wondered whether Microsoft's strategy to provide the same software for both traditional PCs and mobile devices could prove to be its downfall. Maybe the way Microsoft's gonna translate touch apps to keyboard/mouse and keyboard/mouse apps to touch to achieve this infinite OS will be downright magical in the end. But I'm not seeing this hybrid thing right now, even as impressed as I am by all of the incredibly cool modern interface stuff that's totally designed for tablets. And beyond that, at least when we're talking about tablets, it looks like Windows 8 still has a lot of the rest of the problems that made the current Windows less-than-good as a tablet OS--or it doesn't have the things that makes the other tablets as good as they are. Namely, utter simplicity. And PCWorld points out that Windows 8 may suggest an overarching trend for software as companies try to accommodate the needs of both mobile and wired devices for the future. "What's interesting about Windows 8 is that it's another step in PCs becoming more tablet-like. Apple is moving toward making Mac OS X more iPad-like with Lion's various iOS-inspired features, although Windows 8 seems to go one step further with merging the tablet and the PC," they wrote. But if Microsoft can pull it together, it could pose a real threat to Android tablets, according to Sarah Rotman Epps of Forrester. "Consumers prefer Windows to Android on tablets by a wide margin," she wrote. "If Windows 8 tablets hit the market in 2012, they'll be competing against third-generation iPads--no easy feat, and we expect Apple to maintain at least 70% market share into next year. But Microsoft will be a contender. What's more, they'll have a product that can compete across devices, and a foothold in the post-PC future." How do I safely clean the screen on my smartphone or tablet? To clean the screen on your smartphone or tablet, use a soft, lint-free cloth. We suggest you pick up a couple of microfiber cloths. Never use a paper towel or other paper-based towels as they can leave scratches on the screen. For fingerprint smudges, dust, and lint, wipe the screen gently using a dry microfiber cloth. What if I got ink, food, or makeup on the screen? For more stubborn contaminants or stains, turn your device off and remove the battery if possible. Lightly dampen a section of a microfiber cloth with water and gently wipe the screen, then go over it again with a dry section of the cloth to wipe away any moisture. Avoid getting moisture in any openings like the speaker or mic. If the stain remains, you can also try using a mild soap-and-water solution. When your device is completely dry, put the battery back in and turn it on. Can I use Windex or other household cleaners to clean my device? Never use window cleaners, harsh chemicals or cleaning solvents on your smartphone or tablet and never spray anything directly onto the screen. 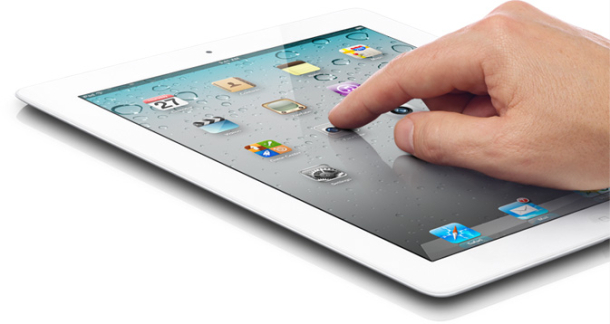 Some screens, like those on the iPad and iPhone, have a special coating that can get wiped away if you use chemicals to clean the screen. What if my device gets wet? Can I use a hair dryer or uncooked rice to dry it? If your smartphone or tablet happens to get wet, turn it off immediately and remove the battery if possible. Let it dry for as long as you can before turning it back on and never use a hair dryer, oven or microwave to try and accelerate the drying. Some people have claimed that leaving a wet device in a bowl of uncooked rice helps get the moisture out of the device, but your mileage may vary. There are also a couple of companies that make kits that claim to dry out wet devices. One such kit is called the "Dry-All First Aid Kit" and is available from Amazon.com. For more on rescuing wet cell phones, check out Sharon Vaknin's How To video. There, now you know how to clean your smartphone or tablet. If you've used one of those drying kits or tried the uncooked rice method to dry out a wet device, let us know how it worked out for you in the comments. Step 1: Unplug your keyboard from your computer and remove any batteries. Step 2: Flip it upside down and give it a good couple of shakes. Step 3: Blow some compressed air to remove crumbs, dust, and other fun stuff from between the keys. Step 4: If you happen to have a mini vacuum that's designed to clean keyboards, feel free to use it, but refrain from using a full-size vacuum; you might find your keys in the vacuum's dust bin. Step 5: Wipe the keyboard keys and palm rest with a lightly dampened lint-free cloth, like a microfiber cloth. Step 2: Wipe your keyboard with disinfectant wipes. Make sure that the wipes aren't overly damp and that you squeeze out any excess liquid before wiping the keyboard. Step 3: Then immediately wipe your keyboard down with a lightly dampened microfiber cloth. Step 4: Using a dry microfiber cloth, remove any remaining moisture from your keyboard. Step 1: Unplug your mouse from your computer and remove any batteries. Step 2: Use a lightly dampened microfiber cloth to wipe away grime or dirt. Be careful not to get moisture into any openings. Step 3: Using a dry microfiber cloth, remove any remaining moisture from your mouse. Step 4: If there are loose particles stuck underneath the scroll wheel, turn the mouse upside down and roll the scroll wheel to help dislodge anything that may be stuck inside. Step 2: Wipe your mouse with disinfectant wipes. Make sure that the wipes aren't overly damp and that you squeeze out any excess liquid before wiping the mouse. Take care to avoid getting moisture into any openings. 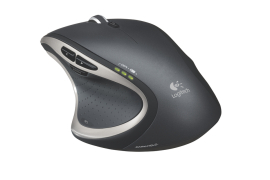 Step 3: Then immediately wipe your mouse down with a lightly dampened microfiber cloth. Step 4: Using a dry microfiber cloth, remove any remaining moisture from your mouse. The directions above apply to laptop keyboards and touch pads as well. Just remember to turn your laptop off, unplug the power cord, and remove the battery. You'll also want to be careful not to allow any excess moisture to enter any openings and never spray anything directly onto your keyboard, mouse, or laptop. Oh, and just in case you're thinking about tossing your keyboard in the dishwasher, we don't recommend it. Putting it in the dishwasher or submerging it in water will likely short-circuit the wiring. We also don't recommend that you disassemble your keyboard to clean it. Most manufacturers discourage users from disassembling keyboards, including removing keys. Doing so will probably void your warranty. Commentary Maybe you can blame Apple for the mess at Hewlett-Packard. HP, like so many other tech companies, has had Apple envy for the last few years. But also like so many others, it's proved no match for Apple's design and marketing machine. And today, HP paid the price for that inability. It gave up on WebOS, the mobile operating system it acquired to compete directly with Apple's iOS. And it announced plans to rid itself of its PC business. After HP dominated the PC market, Apple began nipping at it and other PC makers heels. This, combined with margins in the PC business going from bad to worse, put HP on the defensive. What resulted was a series of reactionary products and business moves. You can almost pinpoint the start of the me-too downfall to the launch of HP's Envy 13, a luxury laptop HP introduced a little more than a year and a half after Apple's first MacBook Air. It too was thinner and lighter than most notebooks at the time, and a departure from HP's consumer efforts, though it came at a hefty price premium. Instead of whittling away the size and price, as Apple's done with the Air, HP eventually killed off the 13-inch model of the Envy to focus instead on larger and heavier versions that were more budget-friendly. By comparison, Apple's cut away at the price of the Air, while slowly adding features. That culminated with the company recently deciding to make the 11.6-inch Air its entry-level portable computer, dropping the plastic MacBook, a machine that was once its best-seller. Then there are phones and tablets. With Apple and Google ramping up their mobile platforms, and whittling away at the market share of Research In Motion, Nokia, and Microsoft, HP was forced to make a decision: stay tied to Microsoft's Windows Mobile (a platform that Microsoft eventually killed in favor of Windows Phone 7), scrap its phone hardware business, or be like Apple and do it all in-house. 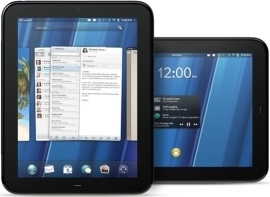 The solution was to spend $1.2 billion on Palm and its WebOS platform. With that buy, HP suddenly made both its own smartphones and smartphone software, all in the same ecosystem. Better yet, it wasn't beholden to other companies in order to spur its own innovations. With the Palm buy, HP was also buying a piece of Apple: Palm CEO Jon Rubinstein, a longtime Apple employee who was one of the creators of the iPod, was put in charge of HP's mobile device efforts. WebOS was scheduled to bridge the divide to HP's computers, effectively replacing Microsoft's Windows operating system with one HP would be making in house. While not exclusively an Apple strategy, that too is one that became especially enviable for HP, given the chance to increase its margins by cutting Microsoft out of the picture. In fact, that's one of the places where HP promised to out-Apple Apple itself, providing a single platform for developers to make apps on for both desktop and mobile users. The problem is, HP isn't Apple. It's a giant, diverse company that makes everything from corporate software to phones. That's a lot under one roof, more than even at IBM, not to mention HP is on its third CEO in the past decade. None of those changes can be good for the culture. Now let's compare that to Apple. Apple started off small, making computers, later expanding into additional product categories. Though for the past decade it's been all about the consumer, with those consumer products then bleeding into the enterprise. That whole time though, Apple's been careful to keep its product line tidy, making incremental improvements almost on a cycle, while at the same time creating a cult-like fascination out of it. That kind of mojo is impossible to replicate, though rivals including Google have gotten better at it. The products themselves are entirely Apple, soup to nuts across the board. Apple controls the design, the hardware, the software, where you buy it (including how you see it--even when it's not in an Apple store), and staffing the people that can fix your hardware or software problem if and when it comes along. The hope is that your next phone or computer will be from Apple, and if Apple decides to venture into another territory, those same customers might come back. That's something that's hard for anyone, let alone HP to match. Can another big tech company compete with Apple? Sure, the likely culprits are Google and its partners, or Microsoft and its partners. It's hard to say. One of Apple's biggest threats at the moment is itself, particularly in regards to how much longer it can continue to ride its success. One thing we do know: that big challenger won't be HP.